Christine Gerbstadt, MD, RD, notes that any food that is good for the cardiovascular system is also good for erectile function in men. 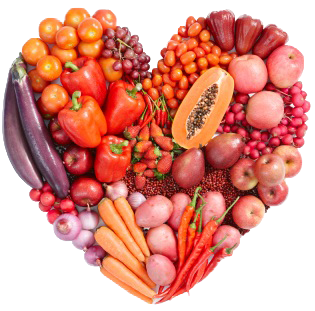 “Nutrients that are good for the heart improve circulation to all parts of the body, and these same nutrients provide a layer of protection against cancer and other chronic diseases,” says Gerbstadt, a Florida-based physician and spokesperson for the American Dietetic Association. Quality nutrients are also critical for maintaining immune function and preventing bone loss, muscle loss, and oxidative damage from the environment, Of course, any one (or 10) foods can’t do the job alone. An overall healthy lifestyle, which also includes not smoking and getting regular physical activity, is what’s really important for health, say the experts. “It is not about one single food or even a handful of foods. What is more important is the pattern of regularly consuming a diet rich in a variety of essential nutrients,” says Joy Bauer, MS, RD, author of Joy Bauer’s Food Curesand Today Show nutrition expert. Still, adding nutrient-rich super foods to the diet, as well as taking a daily multivitamin designed exclusively for men (for nutritional insurance), can give men’s nutrition a boost, says Dave Grotto, RD, an American Dietetic Association spokesman. Could there be something to the legend that oysters are the food of love? Well, it’s true that just a few oysters each day will deliver a full day’s supply of the antioxidant mineral zinc. Zinc is involved in hundreds of body processes, from producing DNA to repairing cells. Bananas are a great portable source of quick energy and are rich in potassium, which is needed to regulate nerves, heartbeat and, especially, blood pressure. Diets rich in potassium and magnesium (which is also found in bananas) can reduce the risk of stroke. As a super source of vitamin B-6, bananas can also aid your immune system, help form red blood cells, ensure a well-functioning nervous system, and assist protein metabolism. So enjoy a banana each day, at breakfast on your whole grain-cereal or before your workout at the gym. Not a banana fan? Orange juice, milk, tomato products, and beans are other good sources of dietary potassium. No list of super-foods would be complete without the healthy fat, omega-3 fatty acids. These polyunsaturated fats are the preferred form of fats in your diet for many reasons. They can benefit the heart, circulation, and immune system and reduce the risk for prostate cancer, among other things. Fatty fish (salmon, sardines, tuna, mackerel, herring) are the richest sources of omega-3 fatty acids. In fact the American Heart Association recommends that everyone eat fish twice weekly. You can also get omega-3s in plant-based foods, like flaxseed, walnuts, soy, canola oil, and fortified products such as eggs. But there are other good reasons to eat fish. “Fatty fish are also a good source of vitamin D, a nutrient that tends to be deficient in our diets and [which] in adequate supply can help prevent cancer, type 2 diabetes, high blood pressure and bone disease,” says Bauer. While virtually all vegetables deserve a place on the superfoods list, cruciferous vegetables like broccoli are helpful in the prevention of heart disease and cancer. It’s loaded with vitamin C, beta-carotene, potassium, and a phytochemical called sulphoraphane, which has strong anticancer (prostate and colon) properties. A recent Harvard study found that participants who had five servings a week of cruciferious vegetables were half as likely as others to develop bladder cancer, a cancer that affects two to three times as many men as women. This super-nutritious green vegetable may also help lower levels of homocycteine, an amino acid associated with increased risk of heart disease and stroke. Don’t care for broccoli? Go for other cruciferous choices like cabbage, bok choy, shredded broccoli slaw, cabbage, cauliflower, or Brussels sprouts. And did you ever wonder where the term “cruciferous” originates? “It is not because they are crunchy vegetables, but when the buds from this group of vegetables sprouts, their leaves form a cross like a crucifix,” explains Denver dietitian Mary Lee Chin, MS, RD. 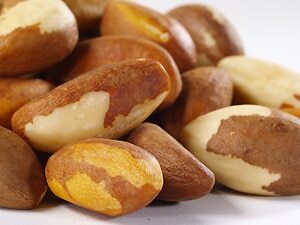 These large nuts from Brazil are packed with magnesium and selenium, powerful antioxidants that may help prevent heart disease and cancer and protect prostate health. (Bauer, however, notes that the studies showing reduction in cancer have been primarily in people whose diets were deficient in selenium, not in those who were already getting enough. She suggests trying whole grain pasta or quinoa, a trendy, not-so-whole-grain-tasting grain that’s rich in lutein for prostate health. Oatmeal and barley are rich in soluble fiber, full of B vitamins that can help lower LDL or “bad” cholesterol, and are also good for the prostate. Suzanne Farrell, RD, recommends getting 10-25 grams of soluble fiber a day from oatmeal or other sources of soluble fiber like apples, pears, and beans. 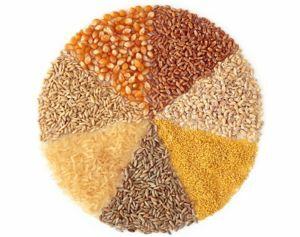 When buying grain products, look for those whose labels say they have at least 3-5 g fiber per serving. “Men should regularly include a total of 2 grams of plant stanols, taken in two doses with meals, to help inhibit absorption of cholesterol in the intestine,” says Farrell. She suggests having 2-3 teaspoons of plant stanol spreads such as Benecol, or 16 ounces of stanol-fortified orange juice per day. Plant stanols can safely be used with cholesterol lowering medication. 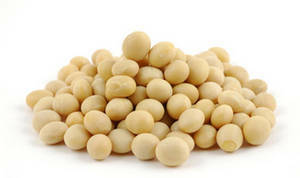 Soy is rich in isoflavones, which protect prostate health and have been shown to lower prostate cancer risk, says Gerbstadt. And “according to a recent study, eating 25 grams or about 1 ounce of soy protein a day can help decrease cholesterol,” Farrell says. Try to eat a few servings a day of soy products, such as soy nuts, soy milk, soy cheese, veggie burgers, tofu, or edamame. The violet, blue, and red colors in all kinds of berries and cherries are responsible for the healthy properties of these fruits. These little jewels are chock-full of the health-protecting flavonoid, anthocyanin. “Berries contain over 4,000 different compounds that have antioxidant properties beyond vitamin C, so make sure you include these delicious and low-calorie fruits to help meet your 5+ servings of fruits each day,” says Gerbstadt. Adding berries to the diet may even help slow the decline in brain function that can occur with aging. “Large studies show the more produce you eat the better, but specifically berries (blackberries, blueberries, strawberries, raspberries, cranberries, and cherries) can enhance brain function and keep your brain healthy,” says Bauer. She recommends getting these nutrients from red bell peppers (just one has 300% of the recommended daily value for vitamin C), carrots, pumpkin, or sweet potatoes. But for that matter, just about any vegetable should be on the list of top foods for men (and women). Dark, leafy greens and any nutrient-rich vegetable can help reduce the risk of enlarged prostates, according to a recent study in The American Journal of Clinical Nutrition. Men whose diets are high in nutrients found in vegetables — like vitamin C, beta-carotene, and potassium – were found to be less likely to develop benign prostatic hyperplasia (BPH), or enlarged prostate.